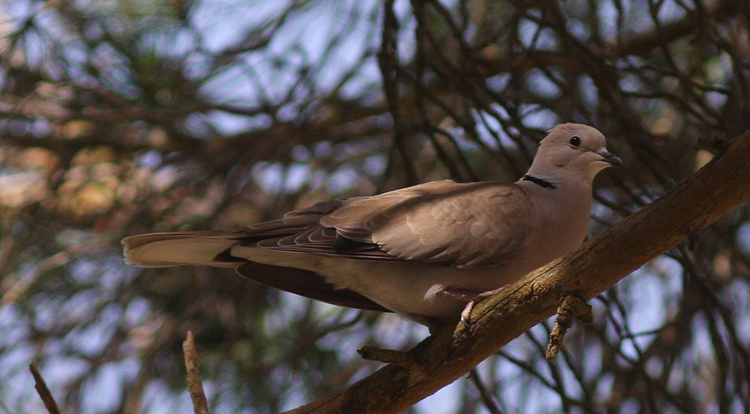 African Collared Dove Streptopelia roseogrisea male at Pinar de la Algaida, Sanlucar de Barrameda, Cadiz, S Spain on 15.5.2011. 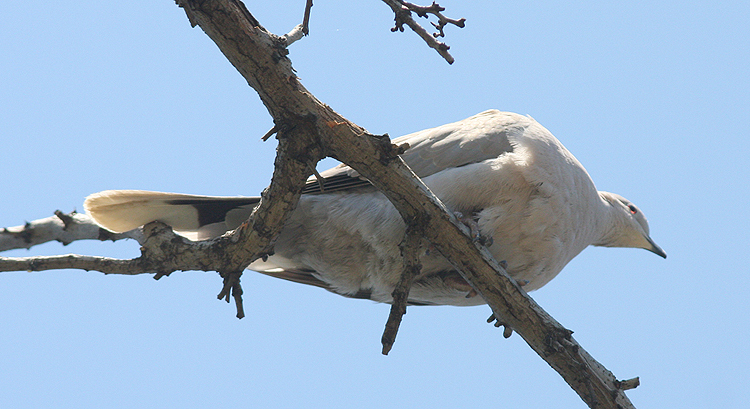 Paler and more slender structure than Collared Dove S. decaocto. Especially lower belly and undertail whitish, see below. 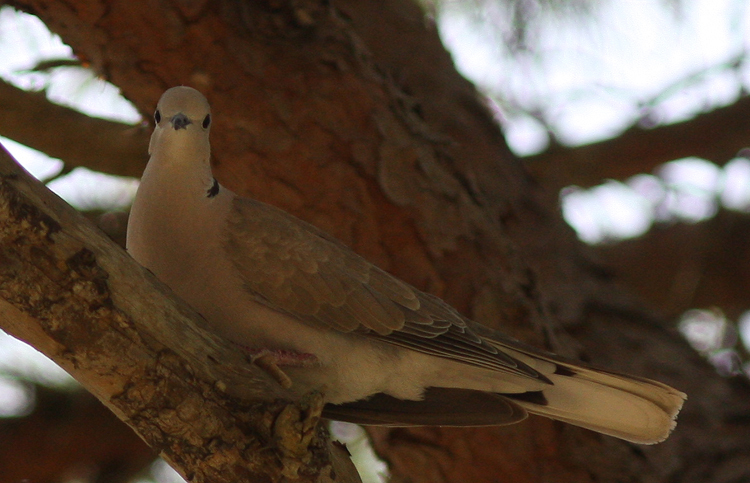 Note also darker grey rump, which is just barely visible in this photo (and upperside of tail, not visible). Note the difference of underpart colouration.